Vasa Retail Ltd primarily deals in all kinds of (a) stationery products viz. artistic materials, hobby colors, scholastic colors, scholastic stationery, office products, drawing instruments, writing instruments, office stationery, adhesives, notebooks, office supplies and writing instruments, books, pens, pencils, erasers, files, copier paper, bags and bottles. We can further classify the range of stationary products into (i) school and education products; (ii) fine art and hobby products; and (iii) office products. 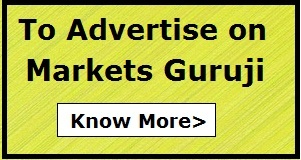 Company has exclusive license agreements dated October 01, 2014 and June 10, 2016 with Oxford Limited to market, sell, distribute, and promote various stationary products under the brand “University of Oxford” to around twenty six (26) countries spread across Asia, Middle East and Africa including India. Company has been in developing innovative product range under the brand “University of Oxford”; entering into arrangements with distributors; tie-up with suppliers. 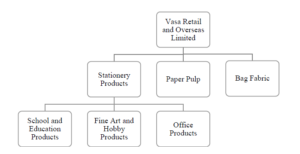 In addition to the above license arrangement, Company also markets and sells its stationery products and bags under its own brand “VASTA” in the overseas markets. In addition to the above business activities, Company also acts as a supplier of copier paper under the brand “Trion” to certain paper dealers in the Middle East. However,they do not own the brand “Trion” under which they sell the copier paper. They distribute the products through a network of approximately seven (07) distributors catering to more than 500 stores by way of modern retail outlets, shop in shop, traditional retail outlets, MBO‘s and e-commerce platform in India. Company has strong customers base in the overseas markets in countries like Saudi Arabia, Kuwait, Qatar, Bahrain, UAE, Oman, and Mauritius, where they market and sell products under the brand “University of Oxford”. Fine art and hobby products. Experience and expertise in global sourcing of diverse stationary products and brand consolidator. Vast network of distributors in the domestic markets and strong customers base in the overseas markets. Own brand VASTA for the overseas market. Marol, Andheri (East), Mumbai 400059, India. Elphinstone Road, Mumbai 400 013, India.